NEW DELHI - India denounced Pakistan on Tuesday for its handling of the visit of the wife and mother of an Indian man on death row, saying they were harassed and prevented from talking to the prisoner freely. A spokesman for Pakistan’s foreign ministry did not respond to requests for comment on the issue. Kulbhushan Sudhir Jadhav, a former officer in the Indian navy, was arrested in March 2016 in the Pakistani province of Baluchistan, where there has been a long-running conflict between security forces and separatists, and he was convicted of planning espionage and sabotage. His wife and mother were allowed to meet him behind a glass window on Monday, eight months after he was sentenced to death, but that gesture of goodwill appeared to have quickly descended into acrimony. Indian foreign ministry spokesman Raveesh Kumar said Jadhav’s family had been subjected to harassment when they arrived to meet him. 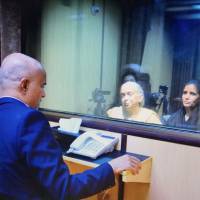 “The Pakistani press was allowed on multiple occasions to approach family members closely, harass and hector them and hurl false and loaded accusations about (Shri) Jadhav,” Kumar said in a statement. Ties between the nuclear-armed neighbors are in a deep chill and Jadhav’s case has added to long-running tensions, with each accusing the other of supporting cross-border violence. India says Jadhav is innocent and won an injunction from the World Court to delay his execution, arguing he was denied diplomatic assistance during his trial by a military court. Pakistan authorities say Jadhav confessed to being assigned by India’s intelligence service to plan, coordinate and organiae espionage and sabotage activities in Baluchistan “aiming to destabiliae and wage war against Pakistan. 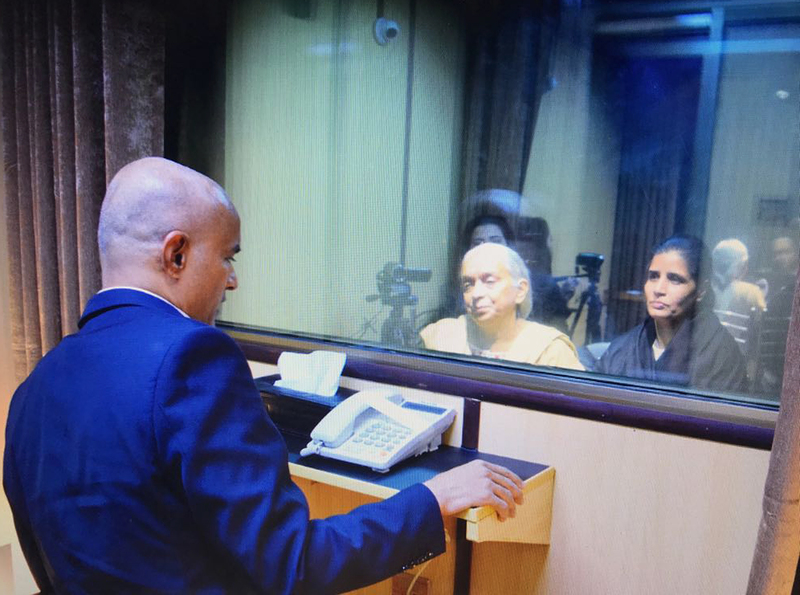 On Monday, Pakistan released a picture of Jadhav’s mother, Avanti, and wife, Chetankul, seated at a desk and speaking to him from behind the glass partition. Islamabad said it had honored its commitment to give access to the family. But India said the two women had been asked to change their dress and to remove personal jewelry and the red dot that Hindus wear on their foreheads on the pretext of security. 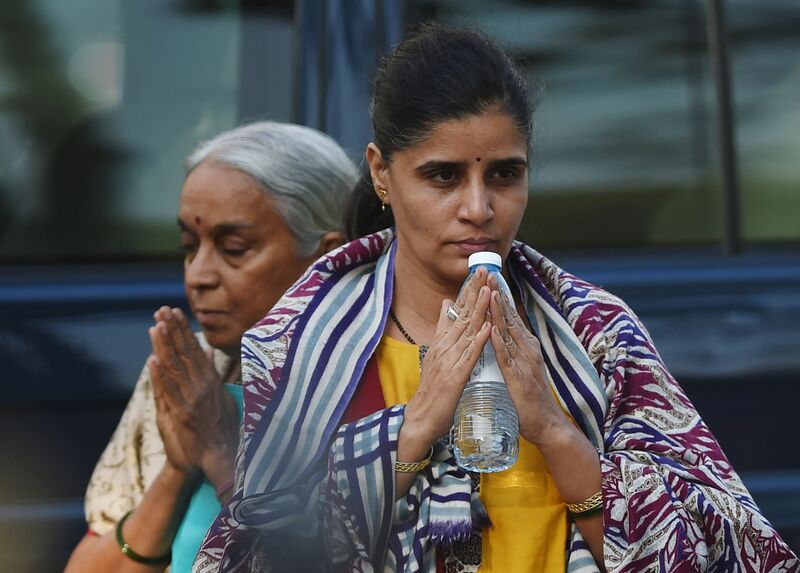 Jadhav’s mother was not allowed to speak in her native Marathi language and was frequently interrupted. 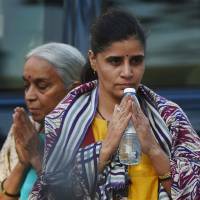 Pakistani authorities also refused to return the shoes that Jadhav’s wife had worn, Kumar said, warning against potential mischief. He didn’t elaborate. India and Pakistan often accuse each other of sending spies and several people are held in prisons for years in both countries, some of them on death row, to be used as bargaining chips in their troubled relationship. Kumar said Jadhav appeared to be under considerable stress and under coercion during the meeting with his family. “Most of his remarks were clearly tutored and designed to perpetuate the false narrative of his alleged activities in Pakistan. His appearance also raises questions of his health and well-being,” Kumar added.